ANMÄLAN TILL B&K ÄR ÖPPEN! 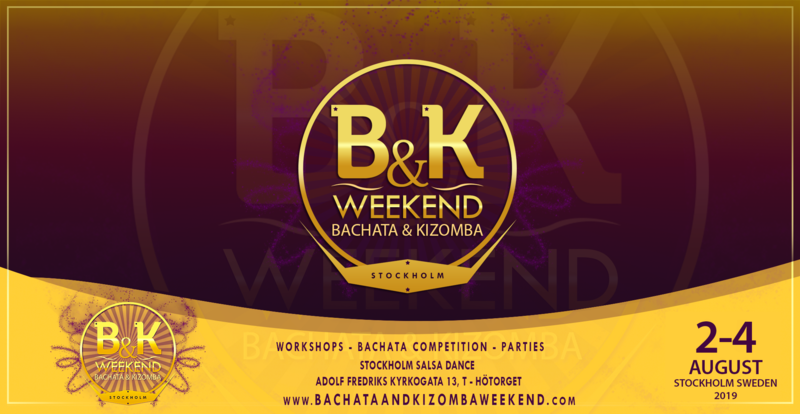 Stockholm Salsa Dance is proud to present the 8th edition of Bachata & Kizomba Weekend in Stockholm, Sweden! The event will take place August 2th-4th 2019! Prepare for a weekend with inspiring workshops, great parties and fantastic dance shows! And last but not least – the official Scandinavian Bachata Master Championship! Unlimited available	 B&K DAY PASS 800.00kr All workshops on Saturday or Sunday and one of the parties.